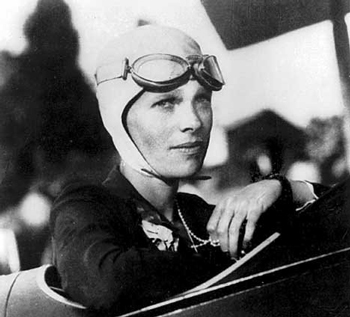 1932 – Amelia Earhart completed her non-stop transcontinental flight, setting the women’s speed record of 2,447.8 miles in 19 hrs 5 minutes. 1939 – The leader of Murder, Incorporated, Louis ‘Lepke’ Buchalter, turns himself in to columnist Walter Winchell. Winchell brings him to FBI Director J. Edgar Hoover. 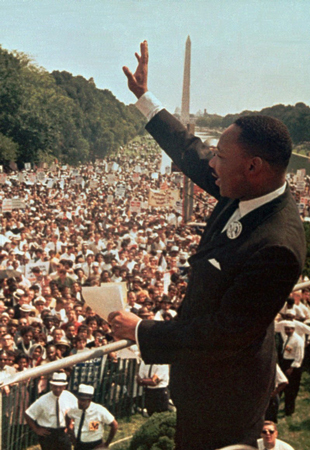 1963 – Martin Luther King, Jr. delivers his most famous speech, “I Have A Dream”, on the steps of the Lincoln Memorial in Washington, DC. 1939 – A major league baseball game is shown on television for the first time. The Cincinnati Reds vs Brooklyn Dodgers game is telecast on W2XBS NY. 1964 – Walt Disney’s Mary Poppins is released. 1969 – Alice’s Restaurant, a movie based on Arlo Guthrie’s famed song, premieres in New York City and Los Angeles. 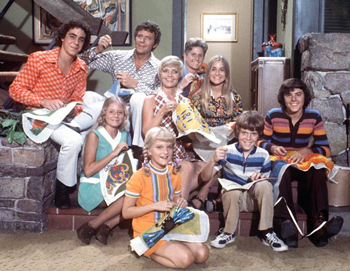 1974 – The last episode of The Brady Bunch airs. 1949 – “Father Knows Best” debuts on NBC radio. 1950 – The radio show, “Somebody Knows”, isbroadcast for the last time. It was a show that gave cash rewards for information leading to the solving of crimes. 1954 – Elvis Presley has his first hit single with “That’s All Right (Mama)” on the Memphis local charts. 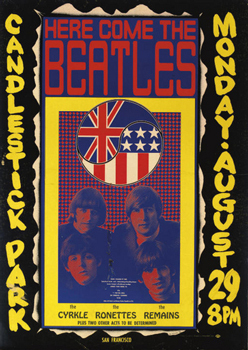 1966 – The Beatles perform at Candlestick Park in San Francisco, CA. It is the group’s last live appearance before they disband in 1970. 1968 – John and Yoko Lennon host the “One on One” concert in Madison Square Garden to raise money for mentally retarded children. 1970 – Elton John makes his U.S. concert debut in West Hollywood at the Troubadour. 1984 – The Jacksons’ Victory Tour breaks the record for ticket sales, reaching the 1.1 million mark in only two months. 1980 – 42nd Street opens at Winter Garden Theater in New York for 3486 performances. 1974 – Charles Lindbergh, aviator, dies at age 72. 1982 – Ingrid Bergman, actress, dies on her 67th birthday. 1950 – Sugar Ray Robinson knocks out Jose Basora to win the middleweight boxing title. 1963 – Don Schollander is the first to swim the 200 meter freestyle in under 2 minutes (1:58). 1968 – The first US Open tennis match (Billie Jean King beat Dr Vija Vuskains) takes place. 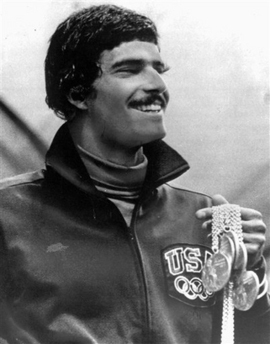 1972 – Mark Spitz wins the first of 7 gold medals in swimming at the Summer Olympics in Munich, Germany. 1989 – Pete Rose is banned from baseball forever after admitting that he bet on games. 1957 – The Edsel, by the Ford Motor Company, is introduced to the public.